Top I made for Demi. 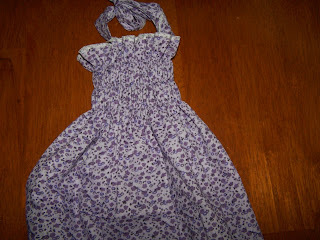 This is the same material I made a dress with a few days ago. 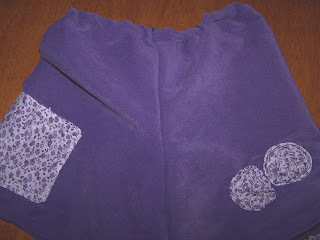 I had some purple material in my fabric box for a long time. I couldn't find a use for it until now. I made up shorts to go with the top. I added a pocket on one side and flowers on the other. This is the top and shorts together. I have to quit making stuff for D. I need to make up a bunch of dolly things for the new doll we will be giving D. when I have the baby. 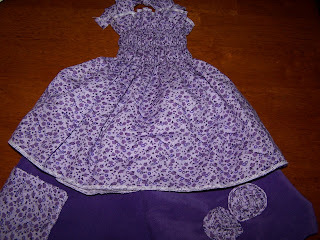 I don't feel like making up doll diapers, clothes, and such but I need to get it done before the baby is born.